Flip phones are still pretty huge in the Asian market. And I don't mean the standard freebies you can get on contract elsewhere, I'm talking big-screen, full-OS, powerful flip phones that still use the old T9 dialpad layout. 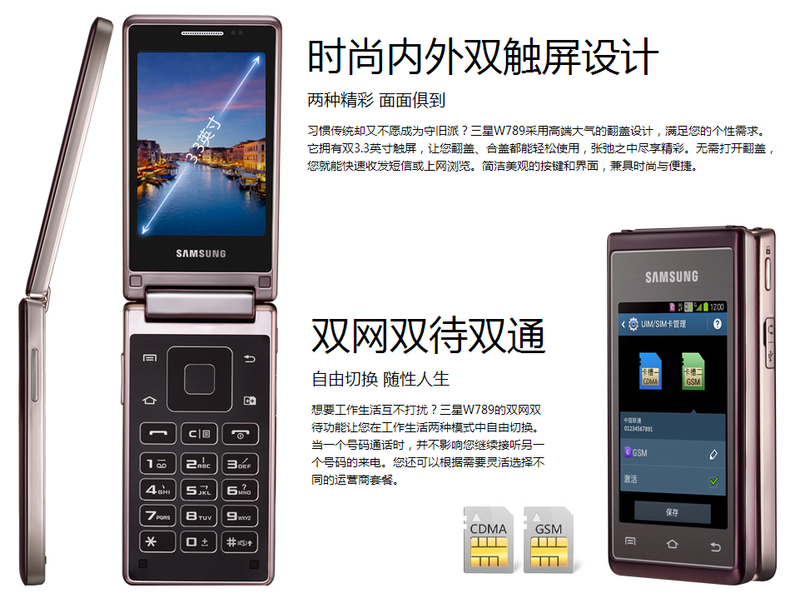 Samsung is hoping to get a piece of that pie with the Android-powered Hennessy (SCH-W789), a flip phone with dual 3.3" screens and Android 4.1. It's currently set for a Chinese release, though an exact price or date isn't available. The configuration is pretty standard, with the added convenience of a full-sized external screen to make the phone easy to use when the clamshell is closed. The screens aren't all that dense at 480x320, but at that size, they don't have to be. 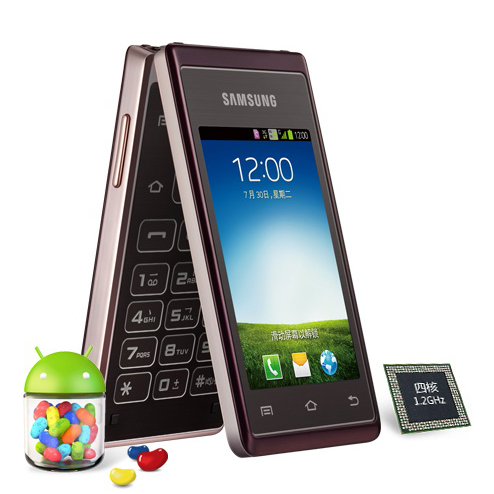 On the external screen the standard Samsung capacitive keys are on the bottom, which the internal screen moves to a 2x2 grid around a 4-way directional pad. 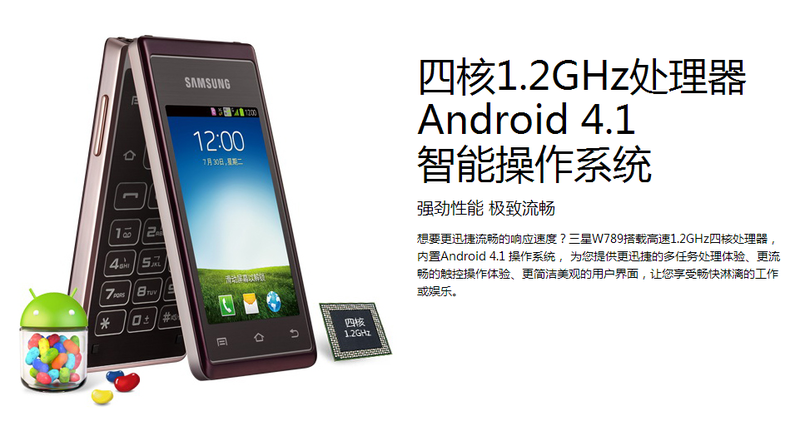 There's also a dedicated button for the GSM/CDMA dual-SIM function (a popular feature of Chinese phones). Inside the Hennessy gets a 1.2Ghz quad-core processor, 1GB of RAM, a 1500mAh battery, and a 5MP rear camera (it looks like there's no front-facing cam) plus a MicroSD card slot. There's almost no chance that the Hennessy will be released outside Asia, at least at the moment. But it does serve as a perfect illustration of Android's continuing reach into lower-priced markets and exotic form factors. I know there are more than a few Android users who would love to use a T9 pad for old-school text input - would any of you buy this thing, or something similar, if it was available in your country? P.S. What's up with that name? An Irish surname for a French cognac on a Chinese phone from a Korean manufacturer? Huh?